I spent a good hour with Tall Oaks at Reston Assisted Living and they didn't call me back. I felt like the person giving the tour was new and couldn't answer a lot of my questions. The rooms were nice. They offered a full schedule of activities. It was fine and I was considering it, but they didn't call back. I loved Tall Oaks at Reston. It's a beautiful place with a lot of personality. It didn't feel like an institution. The activities and food looked good. The people were all happy, and I loved the staff. The staff who toured me around was wonderful. The rooms were nice, had plenty of natural light, and had as much space as any of these places have. I have been with Tall Oaks for seven months now, and my experience has been excellent. There are plenty of activities ranging from chapel services to Bingo, and van trips to various places. It is a caring environment. The food is excellent and my wife loves the desserts -- they have a very good chef. There's a lot of space in the parking lot, and -- most importantly -- they let us keep our pets. The director who gave me a tour at Tall Oaks was nice. It’s a nice, clean, and big place. The staff seemed to be engaged. The staff are HORRIBLE!!!!! I've come there to feed my grandmother during lunch and dinner and the Aides would actually set aside pieces of cake for themselves and friend shrimp plates that were there for RESIDENTS NOT THE STAFF in the Dementia ward! I've witnessed that more times than I can count. The Staff I have witnessed tease a resident till she cried and called a resident "fat" and told her she ate too much. This was a head nurse of the Alzhiemers unit. I didnt report for fear they might take it out on my Grandmother when I am not there. I cant tell you how many times I have asked a Nurse Aide to take my grandmother to the bathroom and they told me they were "on their break". Staff also fought constantly with one another. With the exception of a Colombian Nurse there who was amazing and hard working, the other nurses and especially the nurse aides were just dreadful and mean to the residents. PLEASE DON'T LET A LOVED ONE STAY IN THIS PLACE ESPECIALLY THE "DEMENTIA UNIT"!!!!!!! My dad stayed at Tall Oaks at Reston. It's a building with 10 floors of two-bedrooms apartments and studios. The culture changes so much. The crew is nice but not 100% of them know what they're doing. You know those leg straps that some patients have? Some crew members don't know how to deal with that, which is easy. The food is good but could be better. They take people out on tours, have people singing and playing the guitar, have a small movie theater, a dining room and play concerts once in a while. The crew per se, and the attention that they give to the patient is regular but not the best. They give the patients their prescription, but they don't work around the patient to help them take the medicines. They just leave the medicine, and they don't explain things before they're going to do it. They need to train their crew better on procedure, like how to deal with leg straps, how to communicate with patients, etc. We went with Tall Oaks Village for my mother. We were not really happy with their care. One time she went down to see a movie, everyone left before the end of it, and no one came to get her. She pushed the button, and nobody answered. I am not happy with Tall Oaks at all. I would not recommend it to anyone. I have found a place for my mother, and I'm very happy with Tall Oaks -- the cost and atmosphere. It's a little older. It's not sparkling new. My mother has severe dementia, so she is on the memory care floor. There are plenty of activities going on all the time, but she can't participate in much of that. There's always someone doing something with her. They take very good care and attention to her. They have doctors who come to the facility as well as a dentist. There are just a lot of people. There also seemed to be a good number of volunteers. It's a big place, but everyone knows who I am related to when I come there. They know where she is. She has a few times fallen out of her bed -- which happens -- and they call me pretty much right away after they've assisted her. She has a hospital bed, so she doesn't fall very far. They had an incidence of norovirus, and they immediately emailed everyone to asked family to please refrain from visiting and let everyone know that the residents would be taking their meals in their rooms and not the common dining area to try to limit the infection. Tall Oaks seemed like it was the most appropriate for my mom at the time with her level of physical and mental needs. It seemed to fit the best, and I likeD the bright colors in the facility. My husband ate there a couple of times -- good food. The size of the room is fine. We asked them to put furniture in there because at the time, we didn’t have anything to bring, and the furniture is beautiful. It just happens to be very huge, so it makes the room feel kind of small. We had to put her in there right before we left. She had just come out of the hospital, and we had chosen a doctor from that facility, but they didn’t have her get an appointment with the doctor until weeks after she got there. She needed physical therapy, and they said they could do it but they didn’t set it up until much later. We were gone for a business trip for 4 weeks, and when we came back, we were surprised that she had been left on her own for that period. The staff seems like they’re nice people. I don’t think I exactly got what I was looking for, but I don’t think there was a problem with them. I don’t think they understood that she needed to be prompted and asked if she needed specific things. My mom is in assisted living at Tall Oaks. They are a five for communication and the staff and all that for sure. They are excellent. They have special meals for every holiday, they have trivia, and they do big outings. They go to museums, and they went on a boat on the Potomac. They really don't have to improve on anything. They are doing a great job. Upkeep and maintenance of the place is excellent. We definitely recommend Tall Oaks. It is very homey and beautifully decorated. The food is very good. They have a wide variety of meals, and they cater to my mother. She is diabetic and needs to have certain foods or can't have certain foods, and they do a great job. The nursing staff, aids and activity staff for the Alzheimers patients are really caring and wonderful people. I'm really glad my friend is there. I visited Tall Oaks, and they are planning for an independent living facility. Right now they are operating only for assisted living. Their rooms are very small, but the staff is very good. I haven’t tasted the food, but I know someone living there, and it's done very well. The person who is presently living there has been treated very, very well and is very satisfied. The demographics of this facility are not for baby boomers. If you are not in your 80's and up, you will not be happy. The food is bland and uninteresting, and repeats regularly. The room doors do not have slow closers, and the staff bangs them shut starting at 7 am and continuing throughout the day and night. Many of the staff speak little English, especially in the dining room diabetics are often given sugary food, and residents at my table with severe swallowing problems were given non- puréed food often, with fellow diners at the table having to remain vigilant on their behalf. My mattress was completely broken down, and I had to go to the director to get a better one. Calls for assistance were answered within a range of 10 minutes to never, with the latter instances being caused by non-operating walkie talkies. These devices are kept on extremely high volume, so all calls on a floor result in constant loud alert calls. I was in for rehab only, and this service, be a separate company, was excellent. The senior day nurses were excellent; night and midnight nursing and aide care was inconsistent. In short, if you are really aged, really deaf, and unable to advocate for yourself, you may fit in here, if that's not you, shop around. While the staff were very friendly, they were unable to meet my grandmother's needs. She often needed to get up to pee in the middle of the night, and would sometimes fall if nobody was there to help her. Since there was only 1 night nurse for the whole floor, even if my grandmother rang the bell, she would often have to wait a long time for the nurse to come, or she wouldn't come at all. Another issue was that she was on a lot of medications that needed to be taken on a regular schedule, and the nurses weren't too consistent about giving them on schedule. Also, she sometimes needed additional pain meds on demand, and it would take the nurses too long to get there and give them to her. A superb property that I would be proud to have my Mother call home! 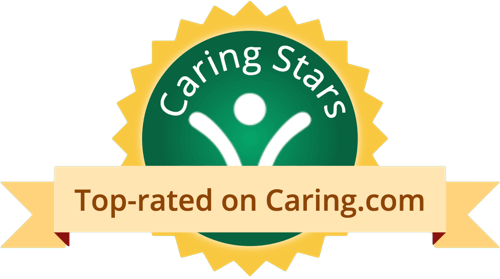 I was thoroughly impressed by the staff, five star care, and affordable pricing! I will definitely think of Tall Oaks Assisted Living for my parents future care needs. Tall Oaks at Reston Assisted Living is a senior living provider in Reston, Virginia that offers residents Assisted Living. Contact Tall Oaks at Reston Assisted Living for more details on services and rates. What should caregivers and potential residents know about Tall Oaks at Reston Assisted Living?